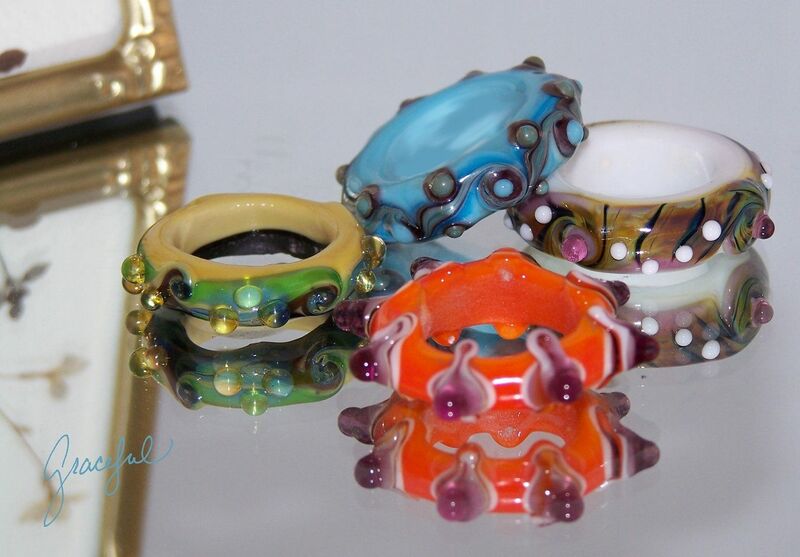 Rather than offer these rings separately, they are a lot of 4 big hole glass rings. They would be lovely worn simply as a pendant on a ribbon, or could be further enhanced by wire wrapping. There is no end to the imagination of a talented jewelry designer. The first bead is made on a base of opal yellow with a wrap of black on one edge. It is a thin wrap making the design more delicate looking. It is divided with a wrap of transparent green and accented with raised silvered dots. 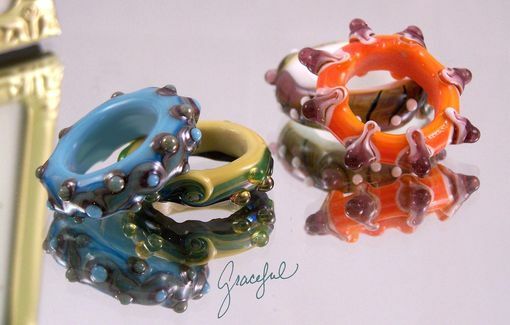 Another ring is made on a base of turquoise with swirls of copper and silvered glass. Finally it has raised dots of turquoise over copper dots. 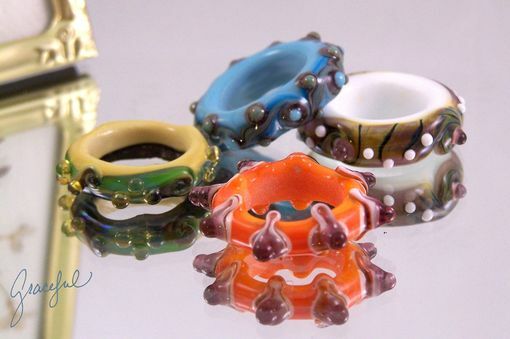 The next big hole ring is my favorite...I think. It has a thick base of white with a wrap of transparent amethyst. A twist of black and Fire Lotus glass is swirled over that. This one has more of an organized pattern of white dots and transparent amethyst dots. Finally is the bright orange big hole ring! The base if of course orange and the raised dots are stacked in white and amethyst a couple of times. Finally the edges of the dots are pulled toward the bottom of the ring, giving it a star like design. This bead is my other favorite. 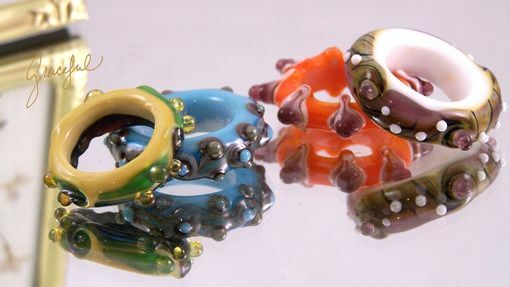 Just my two favorite beads are worth the price that I'm asking!